The portion, Ki Tavo (When You Come), begins with the last part of Moses’ speech before the people prior to his death. Upon the entrance to the land of Israel, Moses orders the people to write the words on big, whitewashed stones, and to build from them an altar for the Creator. 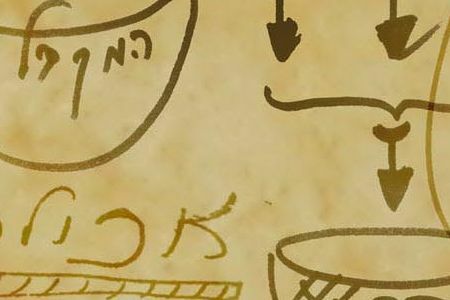 Moses describes the blessing that will come to Israel if they keep the Mitzvot (commandments), and the cursing that will come to them if they do not. He describes the state of the blessing and the curse on Mount Eival, and on Mount Gerizim—who will stand on each side, what are curses and what are blessings, and how they should be said. The portion also deals with the Mitzvot of the first fruit, and the tithing laws. At the end of the portion Moses summarizes the events through which the people went, the Creator’s help on every step, and the people’s commitment to keep the Mitzvot. Our soul consists of 613 Mitzvot (commandments). Initially, they are all as the evil inclination, meaning aiming to benefit ourselves. In each of our desires appears—in the best case scenario—concern for ourselves. In the worst case scenario appears how we lie, steal, and use others for our own benefit. Even if we do not use others, we still feel that the worse off they are, the better off we are. By nature, we are built to compare ourselves to others. And yet, there is no one to complain to about it because the Creator admits, “I have created the evil inclination.” It is a process that began in Egypt, where we received the big evil inclination, the will to receive. We discovered it at Mount Sinai, where we agreed to be “as one man with one heart,” to bond. Although we were by a mountain of hate, we united around the mountain and expressed willingness to unite. Although we were unable to actualize it, we were prepared to go for it. That was enough to receive the force of correction called “Torah,” whose light reforms.